Malaysia is a country unlike any other. Full of history, culture and diversity, it’s got a real story to tell. One that we should all take a moment to listen to. But one that’s worth hearing outside of the major cities. Terengganu is a state, on the east coast of the mainland of Malaysia. It’s about a 4 hour drive from Kuala Lumpur – depending on how fast your driver is going and the traffic at the time. The cool thing about Malaysia, is that you can still find these little pockets like Terengganu, that are still authentic rural Malaysia. I really like seeing these less-touristy areas of countries. I find they add another layer to why travel is so important. There’s absolutely nothing wrong with exploring a country's major cities. But I find, it’s when you escape the city and discover the small towns that don’t thrive off tourism, when you really begin to see the country for what it really is. WHERE TO STAY Now, I know moving away from the major tourist hot spots might be a little intimidating to some. Hell, I’ve been intimidated by ‘off the beaten path’ travel before. Often, there’s no safety net and you stick out like the sore thumb everywhere you go. But I’ve got a little secret for you all. I stayed in Dungun, a somewhat large township of Terengganu at Tanjong Jara Resort. I know what you’re thinking – a resort..? But Tanjong Jara is unlike anywhere I’ve been before. It’s more than pools and sunshine, it’s about community spirit and learning from the people and world around us. Tanjong Jara is like a close knit family that welcome you with warm arms. The staff is what absolutely makes this place so warm and friendly. It’s all in the details – they remember the last conversation you had together, what you did the day before, what your favourite drink is. The staff are totally themselves, quirks, big smiles and all. There’s so much to see and do around Tanjong Jara. They offer heaps of activities inside and outside of the resort and if you want to do something different, they’re happy to organise it for you. But hey, if you just want to chill out by the pool every day drinking Mojitos, by all means! Not only does it have a fantastic vibe and loads to do, but it’s absolutely glorious. 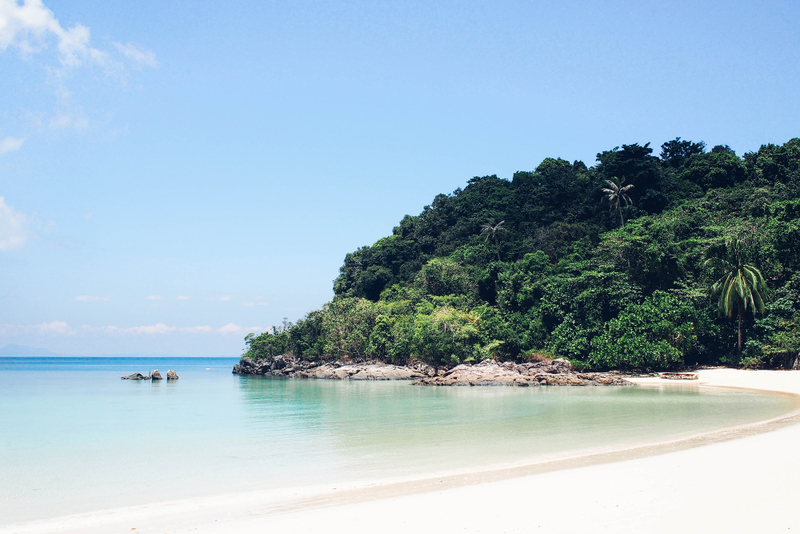 Tanjong Jara sits on a pristine, tranquil beach, surrounded by untouched jungle, spread across 40 acres. So even when it’s booked out, it still feels really peaceful. WHAT TO DO There are loads of other things to do around Tanjong Jara, but these are my top rated activities offered by the resort. Cooking class with Chef Ann Chef Ann has been cooking at Tanjong Jara for decades now. She runs one of the two restaurants at the resort, Di Atas Sungei. What makes this restaurant so inspiring, is there’s absolutely no menu. Chef Ann personally welcomes every table. She has a chat to you about your tastes and what you feel like, and then, she puts together dishes to share depending on your requests and the produce she has in the kitchen. Chef Ann is a bouncing ball of energy, with a personality to match. She hosts a cooking class during the day, so you can have a blast learning how to cook some delicious, traditional Malaysian dishes with her. And of course, you get to eat afterwards. Snorkelling at Tenggol Island Island Tenggol Island is part of the Terengganu Marine Park. This little island takes 45 minutes to get to by speed boat and will be sure to take your breath away. I was absolutely stunned by its beauty. Think pristine white sand, turquoise warm water and diverse untouched coral gardens – it’s a real life tropical paradise. I feel blessed having spotted a handful of baby sharks, a turtle and loads of tropical fish, and I have to add, I’m not much of a snorkeller. It was an incredible experience, one I’ll always remember. Bike ride around the local village You don’t need to be overly fit to be able to enjoy this bike ride. Although, the heat will definitely have you sweating out of places you never knew were possible. It’s a really eye-opening experience seeing how the locals live, particularly because Tanjong Jara is all about giving back to the community through jobs and buying the local produce. Some of the houses we saw were so run down, it was incredible that people actually manage to live there. But everyone we passed on the roads were smiling, happy, without a care in the world. We stopped off at a little cafe where we were offered the local coffee (kopi kampong) and roti that was made fresh, right before our eyes. I absolutely loved sitting amongst the locals in their village, eating their food and drinking their coffee – which for a Melbournian, was pretty damn good. Learn from the locals I mentioned before that Tanjong Jara feels like one big family. Well, they also host an event that welcomes the village locals and employees to share their personal Malay traditions and way of life. Here you can try traditional food and drink made by the locals themselves, learn a Malay game or two, feed some baby goats, and chat to the staff outside of their work hours. It’s a lovely way to bring everyone together for some happy times. BBQ dinner on the beach It’s like something out of a movie set. Picture big round tables sitting on a white tropical sand beach, table clothes blowing in the wind, warm mood lighting. Barefood is recommended. It’s a really beautiful way to enjoy dinner in a warm climate. All you’ve got to worry about is how you’ll fit all that delicious buffet food in your belly. Night market in Dungun The local night market in Dungun is open every Thursday night. It’s the perfect way to get amongst the locals, do some people watching and eat some authentic Malay market food. You can ask the staff at reception if they can organise a car to take you and pick you up. Jungle hike Unfortunately when I was at Tanjong Jara they were updating the walk to the waterfall, so my jungle walk was cut short. But I learnt some valuable jungle survival tips, such as drinking tonic water as a way to prevent malaria – any excuses to drink a gin and tonic, right? I came to Malaysia knowing absolutely nothing about the jungle and left feeling certain I wouldn’t survive a night. Lucky I had my luxe beach hut for comfort every night. Watch the sun rise I don’t know about you, but for me, it’s a given. Before you leave the beauty that is Tanjong Jara, you’ve got to wake up before the sun one morning, find yourself a calm spot on the pristine beach, and watch the sun rise. People move to a different beat in Malaysia. They’re some of the kindest and happiest people I’ve ever had the pleasure to meet. So next time you’re thinking about Southeast Asia as a travel destination, be sure to add Malaysia to the list. And while you’re at it, Tanjong Jara is the perfect excuse for a totally unique and captivating experience of ‘off the beaten path’ Malaysia.